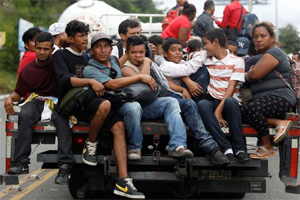 In an opinion piece by Newt Gingrich on FoxNews.com; the former Speaker of the House asserts the current caravan of about 4,000 mostly military age young men from Central America seeking to enter Mexico and then the United States illegally is attempting to invade, attack and plunder. This assertion will almost certainly be denounced by the usual sources as being hateful or offensive, but it is long past time we stop letting the left prevent us from using words that clearly communicate reality. 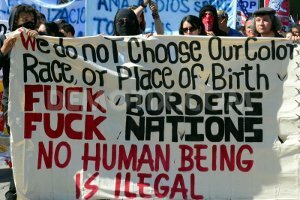 The fact is: Thousands of people have openly stated their intention to break American law and invade our country. 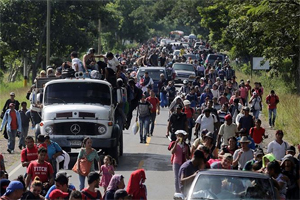 Other people, some of them Americans, are funding this deliberate effort to invade America. If you think “invade” is too strong a word, watch video of the caravan tearing down fences separating Guatemala and Mexico while waving the Honduran flag (the country these people no doubt plan to claim asylum from). How is this not an invasion? We cannot allow ourselves to be intimidated by the heart-wrenching pictures and misleading words the left-wing media will doubtlessly manufacture if this caravan arrives at our border. We also must reclaim our narrative from those on the left. We cannot allow them to demonize us and distort what we stand for and what we are trying to do. Let me be clear about where I stand. I strongly favor legal immigration. Click here for more on Fox News. This entry was posted in National on October 20, 2018 by admin.